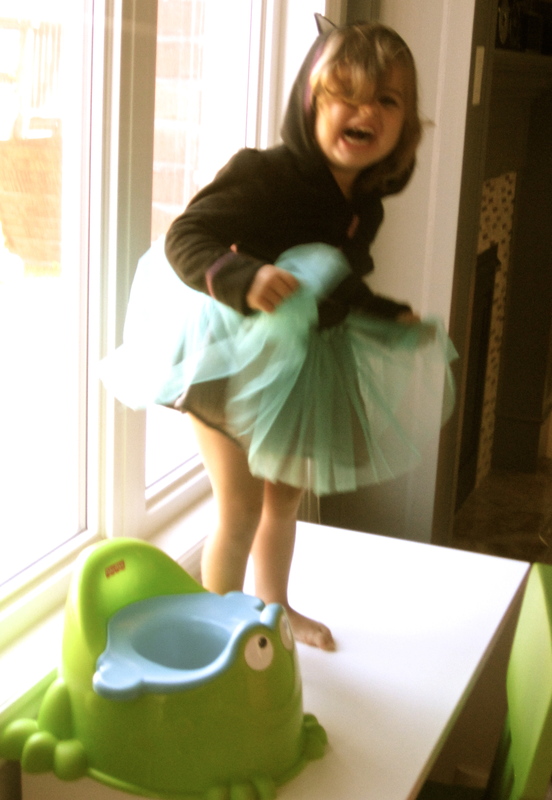 Whoever said girls are easier to potty train never had to potty train my daughter. When it was time to potty train Holden I pretty much put a pair of underwear on him and we were done. Beau on the other hand is a whole different animal. I took an attempt at potty training number 5 last week and it was a disaster. Not only did it seem like Beau was trying to mark her territory all over our house, but she pooped in her underwear twice. I had her on the potty constantly and was trying to be very clear to her about the process. I think my breaking point was when I pulled down her pants and a present dropped right into my hand! I have potty trained 4 puppies in the past and none of them including the accident prone Newfoundland was as difficult as my little princess. After dropping Holden off at school today I walked home with new found determination and a fresh approach. 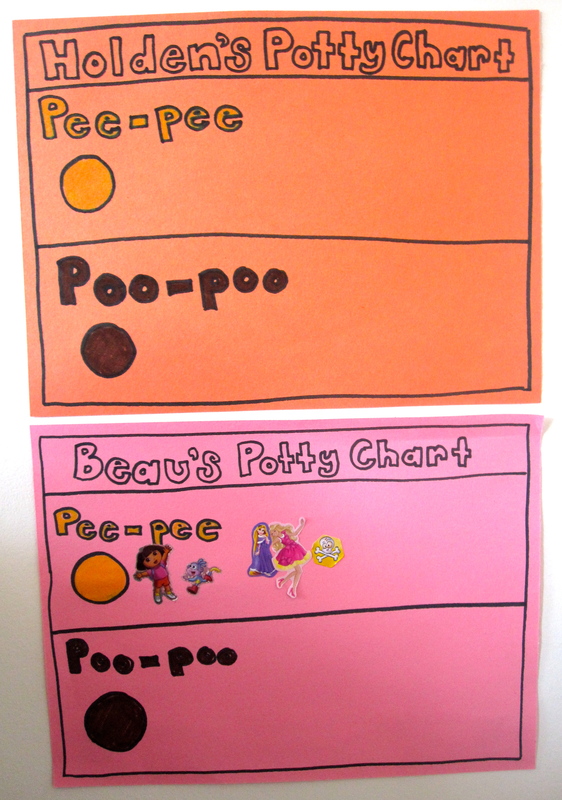 I decided to make a “potty training chart” for Beau and made one for Holden as well so he wouldn’t feel left out. The chart is colour coded and works on a reward system using stickers. So far, so good! We have had tons of success so far, minus the puddle Beau left in Walmart today! 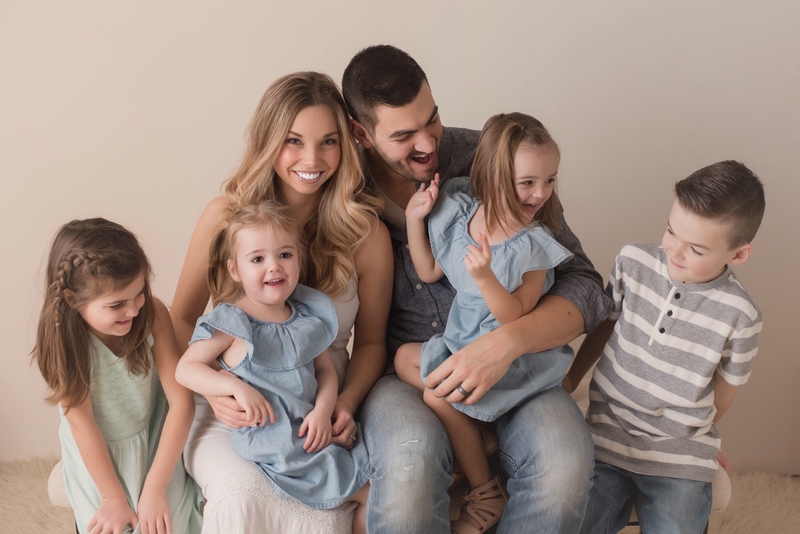 I would love to hear your potty training stories! Please share! Next Next post: 3 DIY Kid’s Decor Ideas I wish I’d Thought Of!